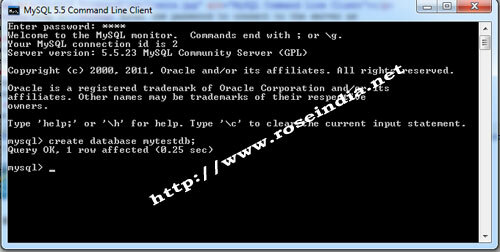 This tutorial explains you how to create a database in MySQL using the MySQL Command Line Client. You can also use the Table Editor which contains both the MySQL Query Browser and MySQL Administrator, enabling the visual creation and modification of tables. It also allows you the create the MySQL database. In this tutorial I will explains you how to create the database on MySQL Server. MySQL Database server is one of the very powerful database server which is free and also available as a enterprise version editions. There are many tools out there for easily management of the database server. MySQL comes with the easy to use the command line tool through which you can connect to the MySQL database server and then execute the queries. 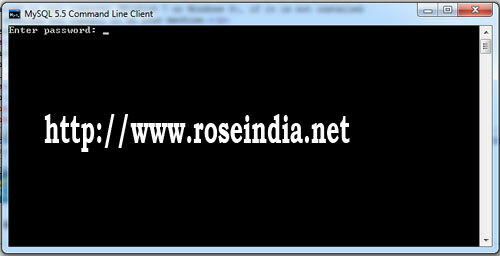 Through this tool you can connect to your database server running on the localhost (same machine) and then create the database. 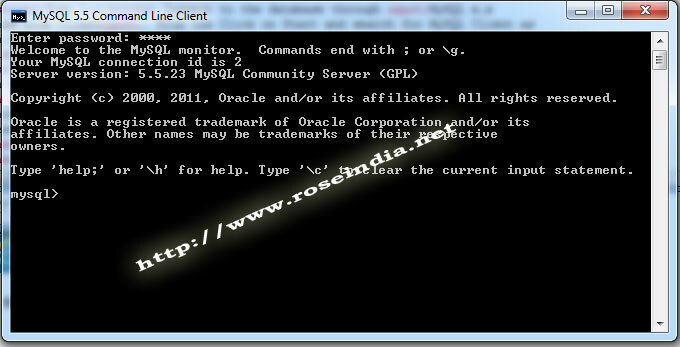 The SQL create database <database name> is used to create a new database on the MySQL database server. So, you need to connect to the MySQL database server through "MySQL x.x Command Line Client". First all make sure you have MySQL 5.x or database is installed on your computer (Windows 7 or Windows 8), if it is not installed then download and install it on your machine. Here is the video tutorial of: "How to create MySQL Database?" Step 1: Connect to the database through "MySQL x.x Command Line Client". 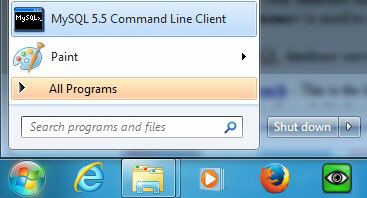 From the Click on Start and search for MySQL Client as shown below in the Windows 7. So, in this tutorial you learned how to create the database in MySQL Server. There many tools for creating and managing the database in MySQL. Here is the list of few important tools which you can use for your managing the MySQL Database. Download MySQL Workbench - This is the latest tool for editing the MySQL database. You can create databases, tables, run queries and update the data through this browser tool. The MySQL Table Editor is a component of both the MySQL Query Browser and MySQL Administrator, enabling the visual creation and modification of tables. The MySQL Table Editor can be accessed from the MySQL Query Browser by right clicking on a table within the database browser and choosing the Edit Table option, or by right clicking on a database within the database browser and choosing the Create New Table option. The MySQL Table Editor can be accessed from MySQL Administrator through the Catalogs screen. Once you have selected a database, right click on a table and choose the Edit Table option from the drop-down menu. phpMyAdmin is a tool developed in PHP for managing the MySQL Database. It comes with many advance features and tools for administration of data and database.